WordPress themes only provide basic social buttons functionality which doesn't suffice in helping you maximize social media exposure. Our guide is focused on tools, plugins, and software that adds effective layers of social media sharing to your website and post pages. Gone are the days of slapping content on your blog and hoping for the best. These days, it’s important more than ever to focus on engagement marketing — connecting with your audience on a personal level. The three areas in which you will find yourself marketing your brand the most are advertising, social media, and search engines. Apart from advertising, neither of the said areas require a monetary investment, and enough hard work will suffice. The latest social media marketing analysis shows us that Facebook is used by an average of 1.5B users on a daily basis. Twitter, on the other hand, sees anywhere from 350M to 400M active monthly users. And you can’t overlook Instagram, a platform that has taken the world by a storm. You can see more details and analytical insight on the annual report published by Falcon. As a content publishing platform, unfortunately, WordPress does not provide inbuilt tools for social media sharing. And the first time you’ll encounter any kind of social media functionality is through a WordPress theme. Even then, themes only provide basic social buttons functionality which doesn’t suffice in helping you maximize social media exposure. Our guide is focused on tools, plugins, and software that adds effective layers of social media sharing to your website and post pages. Social sharing buttons come in all sizes and colors. Since buttons themselves are based on CSS3 styling, it makes sense that there would be countless of such plugins available. Some are simple with transparent backgrounds, while others include specific colors that reflect each social site individually. An example of what social media sharing buttons look like within a WordPress post. Example taken from our GutenMag theme. In recent years, developers have built social sharing plugins that include a floating effect. Essentially, a floating sharing widget that follows the reader’s path on a page. Some argue that floating buttons of any kind hinder User Experience, while others have crunched the numbers and believe that sticky buttons help to boost overall UX. Let’s take a look at the most popular WordPress plugins for social sharing. AddThis is arguably the pioneer of social sharing widgets. Their platform goes back to 2004 when much of the web was based on simple HTML pages. These days, millions of bloggers and publishers use AddThis to promote their content on social media. Apart from beautiful share buttons, AddThis is also the developer of Follow Buttons, Link Promotion, List Building Modals, and a Related Posts widget. For this post though, we’re focusing solely on the social share buttons aspect. A preview of what the AddThis buttons look like in a real blog post. This preview highlights both the Floating effect and also traditional Inline buttons. What sets AddThis apart from other solutions is its diverse selection of social networks. The database includes more than 200+ custom networks, including services like Facebook Messenger, WhatsApp, and numerous country-specific social channels. Select from your favorites, and append the widget with a [+] button that users can click to select any network they have an account on! Also, you can overlay images with a sharing widget — extremely helpful towards getting people to share your content on sites like Pinterest. Last but not least, everything is recorded for analytical purposes. Just head over to your AddThis Dashboard to get an in-depth overview of your social media performance. Analytical data can provide you with the right insight to see which posts perform the best. While some developers work on plugins out of sheer passion — there are people like Dustin W. Stout who build a business around their idea. Social Warfare is a well-known plugin amongst content marketing experts, and people who love the latest technology packed into one compact solution. At its core, Social Warfare is just like any other social sharing plugin. It has numerous button styles, provides custom display options, and will even provide a scrolling effect if necessary. But, going deeper into the feature list — you quickly learn that Social Warfare is a social media promotion powerhouse! Sample preview for one of the many custom styles of buttons that Social Warfare provides. The plugin lets you highlight certain text on a page for instant sharing on Twitter. Furthermore, Warfare applies necessary meta-data to support Twitter Cards. All buttons include social share counts, which act as a great way to enforce psychological trust signals. A customer favorite is the popular posts feature. Basically, you can display a popular posts widget that uses social media share count as the popularity signal. Worth noting that Twitter has disabled share counts altogether. Fortunately, Social Warfare has found a way to collect the total number of Twitter shares and will display that number accordingly. The easier it is for readers to share your content, the more often they’re going to do it. As a result, it helps to have a plugin that’s easy to use but also looks nice on the page. Social Pug packs an extensive list of features and delivers just the right social sharing experience for all. Social Pug prides itself on aspects like button presentation, but also responsiveness. Far too often social buttons can break when being shown on different device types. With precise and modern responsive design capabilities, this plugin will always deliver the smoothest viewing experience. The default style of Social Pug sharing buttons. Also shows the way buttons are displayed on smaller screen sizes. If you go for the premium version, there’s a lot of enthralling features that come with it. Namely, sticky buttons for mobile devices — shown at the footer of the screen whilst scrolling through content. Additionally, Pro adds a shortcode which you can use to display your Social Pug buttons anywhere within your WordPress theme! And if you are the owner of multiple sites, the Social Pug dashboard provides an easy Import / Export functionality. Save your configuration, export it and then use it on another site without any hassle. Kiwi brings forth a stylish and trendy design for your social buttons. The plugin is optimized for quick usability so that you can configure it once and leave it be. Having said that, Kiwi is still a great contender for being one of the best plugins for the cause. Preview of the Kiwi configuration dashboard. Currently, you can add buttons for Facebook, Twitter, Google Plus, Pinterest, LinkedIn, Reddit, Email, Messenger, WhatsApp, and Skype. Buttons can be switched on or off through a simple drag and drop interface. Further, there are four unique style options. Displaying share counts is always a positive thing in terms of cultivating reader trust. Fortunately, Kiwi does provide the option to display share counts. Optimized for performance, these social buttons load incredibly fast; ensuring you’re not falling behind with slow-loading scripts. Track social performance through Google Analytics integration. Add ‘Social Identities’ to maximize post presentation. Custom ‘Tweet this!’ button available in your content editor. Great for making quotes tweetable! A floating bar that follows the reader’s path. Position your icons either before or after content, or both at the same time. 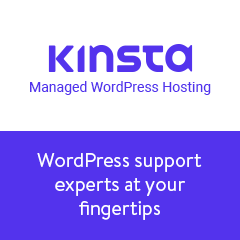 Unlike plugins which work directly from your WordPress dashboard — tools are external resources, also designed to help with social media optimization. Adding buttons to your site is only part of the work required in order to maximize social media exposure. Tools can aid you in automating tasks, scheduling content publishing, and provide analytical data on how to improve your social media presence. Automation. Learning to automate certain social media tasks is going to shave off a substantial amount of time from your other digital marketing efforts. Luckily, social media automation is widely adopted; with great readily-made tools available. Scheduling. Content planning helps in a multitude of scenarios. Using specific tools, you’re able to schedule the publishing of social media content at a pre-determined date. Research & Analysis. In order to grow your social media presence, you must first understand what works and what doesn’t. Likewise, you’ll want to keep an eye on your competitors and see what kind of tactics they’re using. There’s a ton of useful tools available for in-depth social media analysis. Let’s explore some of the best platforms for social media management and more. Hootsuite is best known for helping brands to organize their social media efforts. This powerful platform acts as a unified command center for all your social media needs. Whether you need analytics, new content to curate, or the means to schedule posts — Hootsuite is your friend! The main dashboard panel that all Hootsuite users are provided with by default. It’s highly customizable and can be configured to match your personal preferences. Imagine being active on more than 5 social networks, and having to manage them all manually through your browser tabs. That sounds like a lot of unnecessary work and an absolute time sink. All that time could be spent elsewhere, like planning and crafting new content. And that’s sort of the premise for Hootsuite. The goal of this platform is to help streamline social media management into a single dashboard. Add new social media accounts, and have all the relevant data appear inside a pleasant dashboard. You can even share new posts, reply to other users, and see analytical data straight from the dashboard. One of the more unique aspects of this software specifically is the App Directory. The Hootsuite App Directory provides more than 150+ extensions to add to your dashboard. Some extensions are from well-known brands such as Asana, Adobe, MailChimp, and plenty more. The goal of extensions is to help enhance your Hootsuite dashboard experience and further improve the ways in which you market your brand online. Buffer has been operating in the social media space since 2010. Each year, this platform has been kept updated to keep up with the times. And the results are phenomenal. Most known for its post scheduling feature, Buffer has evolved to include analytics and custom engagement monitoring. The Buffer Blog is an award-winning content platform where you can learn all-things social media marketing. Our focus for this article is going to be on Buffer Publish; the core product of this platform. With Publish you can create custom groups for all your social media accounts, schedule hundreds of posts simultaneously, but also analyze each posts performance individually. Buffer posts your links using its custom link service. As a result, Buffer is able to collect crucial data and present it through visual graphs inside the Buffer dashboard. Once you start adding new social media posts to publish, you’re able to select specific social networks, custom hashtags, and a set time of publication. Additionally, if you install the Buffer browser extension, then you can schedule new posts directly from the page you’re on. This browser extension functionality also works for your personal sites. Loomly is a versatile social media management platform, dubbing itself as the ‘calendar for social media publishing’. The goal of Loomly is to ensure a smooth social media workflow that provides not only the means to schedule content, but also to get new ideas, optimize for best results, and gain insight through analytics. The intuitive user interface of Loomly makes for a pleasant workflow experience. Multiple calendars. Create an array of calendars for different social media campaigns. All calendars are saved into one ‘master’ dashboard. Fresh ideas. Get new content ideas from trending topics across social media, RSS feeds, and even holiday-based recommendations. Content library. Everything you upload, create, and share is stored in a permanent library. If you make a custom template, you can access that template whenever. Post builder. Write social media posts that make sense! The Loomly Post Builder provides a means to optimize each and every post that you submit. Success measurement. Monitor individual post performance and tailor your strategy according to best results. Analyze all your posts at once. On the list of customers, you’ll find Loreal, Porsche, BMW, and countless other high-level brands. And if you love the product, why not make some extra earnings through their affiliate program! Mention is best known for its monitoring and analytical features. Brands are using Mention to monitor their social exposure, but also to keep a close eye on their competition. Social media marketing is a competitive space, and being at the right place at the right time can make all the difference. This is also known as competitive analysis. With Mention, you can compare different brands and their performance on social media. Tracking is based on simple filters. Add a keyword, and Mention will automatically monitor the web for the said keyword. And because of seamless social integration, you’re able to reply to messages directly from the Mention platform. Additionally, Mention will monitor for potential influencers that you can choose to collaborate with. Unlike basic tools, Mention is built on strong and concise algorithms. For example, when suggesting additional topics, the Mention application actually tries to understand user profiles through their post history. As a result, your understanding of customers continues to grow as you tailor content specific to their needs. Best of all, Mention’s platform is highly documented. There’s a reason that more than 700,000 brands have chosen precisely this tool. Growing your brand online is a gradual process. At first, things seem to move forward slowly, but then one day, a tiny momentum builds. And the momentum continues to build until you have a full understanding of both your audience and the ways in which you get most social exposure. Each social network requires a little bit of learning and understanding. Using the tools provided in our post, it’s only a question of time before you start to post better and more converting content to your social profiles. Should questions arise, please don’t hesitate to ask. We would also love to hear from you! What are your favorite social media plugins and tools? Did one specific approach give you better results than anything else? Let us know about it in the comments!